Most people have thought about buying a holiday home at one time or another. However, forking out a fortune for a property that you’ll only use on a small number of occasions is far less appealing. This is especially true when you only need a place to sleep and feel comfortable during daily activities. With our Sited Static Caravans for sale in North Wales, you can gain all of those benefits at a fraction of the cost. Better still, you’ll be in a position to fall in love with North Wales time and time again. By now, you’re probably more than a little interested to find out more. So let’s take a closer look at the reasons to put buying a static caravan on the top of your agenda. Everyone loves a break from the mundane aspects of modern life. Vacations offer a chance to recharge the batteries while creating magical moments with the people you love most. However, the lack of familiarity can prove to be a major stumbling block. Having a few home comforts can truly make all the difference, and a used static caravan is the best way to achieve it by far. Sited static caravans serve as a second home, ensuring that you gain the perfect blend of familiarity and the sense of being away. Likewise, the surroundings of our sites in North Wales provides the perfect backdrop for fun and relaxation. With a static caravan, you truly can embrace the best things about your daily lives while also escaping the negatives. Better still, having this asset gives you the flexibility of taking a weekend break on a whim as well as planning your long summer stays. When you have a holiday home located abroad, making this happen can be quite difficult. One of the best things about our range of static caravans is versatility. Whether you’re a retired couple looking for a small but comforting solution or a family needing something that can be loved by all doesn’t matter. With a little support from us, there’s nothing to stop you finding the static caravan of your dreams. Size matters, but it isn’t the only key aspect to consider. You also need a holiday home that looks great on the eye and carries a suitable design in the various living spaces. Once again, our array of static on site caravans has a solution for everyone. Many potential buyers also wonder about whether the static route is the best option to take. There’s no doubt that traditional caravans have a number of selling points. The obvious standout feature is that you have the potential to hook it up to the car and go anywhere. That ability to enjoy new places is certainly a plus point, but the benefits of the sited options are arguably far greater. For starters, there is far less hassle involved. With a normal caravan, you’ll need to find a place to store it. Meanwhile, it feels a little less secure, which means you’ll probably keep the majority of essential items locked away in the home. When added to the fuel costs of dragging it around the country, the static version becomes more attractive. Not least if you’re looking to make money from short-term rentals too. Most importantly, though, the holiday experience is far greater in a static on-site caravan. For starters, there’s no danger of choosing a poor park to visit. Moreover, your pitch is always secure, meaning you don’t have to plan ahead. Let’s face it; an impromptu weekend away in a moving caravan could be ruined if the parks have no pitches available. 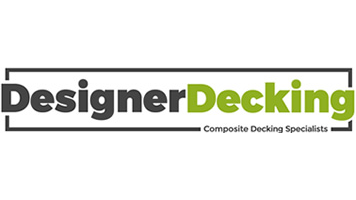 Static caravans also offer greater versatility in design. Given that they aren’t being moved, you can invest in far better internal features. Likewise, the sizing issues tend to lean towards the static solution. With so many great used on-site options available, it’s a no-brainer. With a lot of holidays, at least in Europe, the fun is limited to the summer months. This can be a major problem for people that work seasonal jobs and those that simply want to escape the winter blues. While spending time in a normal caravan might not appeal in the colder months, time in a static one can be perfect if it is a 12-month park. But be aware, most parks are only open for 10 months of the year. The sites in North Wales are perfect, offering plenty to see and do for everyone. Whether you’re one or 100, you will not get bored. In truth, you needn’t even leave the static caravan to gain all the benefits of spending time away with loved ones. Or you could even go it alone. Are Sited Caravans Better Buys? In many respects sited caravans, as opposed to those you buy from a caravan dealer’s premises, are better buys. This is simply because they are already in situ and connected to mains services. However, what happens if you see your ideal caravan but it’s on a holiday park that doesn’t have everything you want? If the caravan you like is for sale by private owner, but not on a suitable site, it can be expensive and sometimes impossible to move. Transporting statics from one site to another involves you finding the transport and paying for it. Depending on where you want to move it to and which Transporter you use it can cost anything between £750 and £5,000! In addition, you have to check that the holiday park rules do not include a clause that insists the owner gives the first refusal to the site operator. Then you have to consider the age of the caravan. Many parks will not entertain the idea of taking a caravan on the site that is more than 10 years old. If for example, you buy a caravan that is 9 years old and move it to another site you will be expected to upgrade within a year. That’s an expensive exercise! 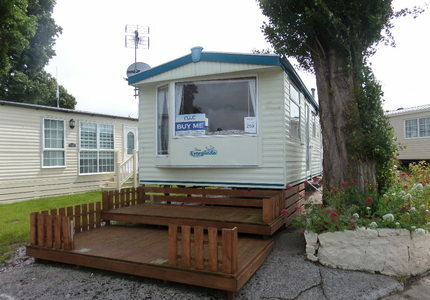 There are often sited static caravans for sale on holiday parks that belong to dealers. Sometimes a private owner may appoint a caravan dealer as a sales agent. Does the dealer have access to transport for the caravan? Is the dealer prepared to do a deal on transportation? (You can sometimes get this cost included in the sale price). Does the dealer have access to other holiday parks that might be more suitable for you? Should the answers to these questions be affirmative, reputable caravan dealers will take you for a tour around the various caravan sites they have access to. The chances are you will find the perfect site for your needs among them. The dealer will also know about age restrictions for caravans on each site. Make sure you ask about them. North Wales Caravans have built an enviable reputation in Towyn and surrounding areas. With access to 8 wonderful parks. Some are so close to the beach, you can step onto it from the site. Others are rural retreats set in the glorious Welsh countryside where peace and quiet are guaranteed. If you have made the decision to buy a static caravan, either a new one or a pre-owned model, North Wales Caravans can offer a choice of many popular models, such as Europa, Willerby, Atlas, Abi, Cosalt, BK and Brentmere. You may yet be undecided on the location to site your new holiday home, but worry not, we are here to help with any questions you may have and to offer our expert advice on your purchase. We have a comprehensive range of sited caravans for sale and North Wales is our specialist area. Our suggested parks are all located in the Towyn and Abergele regions of North Wales, local to the A55 and within an easy commuting distance of major UK cities; only one hour from Manchester and around thirty minutes from Chester. Each of the holiday parks offers differing amenities and activities, depending on your requirements. Do you prefer a family-orientated holiday or a quiet relaxing break? We can help you purchase any of the sited static caravans for sale on the following North Wales static caravan parks. You may never need to leave this family-friendly site, with an all-weather sports court, adventure playground, live entertainment and traditional fish and chip restaurant. It’s an excellent location offering access to many off-site attractions, towns and villages. There are several new and used sited caravans for sale at Golden Gate Holiday Centre which is one of the most popular parks in the area. A quiet, peaceful site located in the centre of Towyn. No entertainment on site, but very local to all Towyn facilities, bars and restaurants, parks and funfair. There are some sited caravans for sale on Owen’s Caravan Park and also some pitches available to site a caravan that you may have purchased from North Wales Caravans inventory or other caravan dealers in North Wales. A small friendly site, with family activities on park such as Mickey Millers Funland, soft play centre, indoor heated children’s pool, a snooker room and arcade, an indoor football pitch and netball astroturf area. The Ocean club offers free entertainment for all caravan owners and their families, with cabaret and entertainment throughout the season. With direct access to the seafront and the Wales Coastal Path, for adventurous walks and cycling around the Wales coastline, Ty Gwyn Holiday Park has a newly renovated restaurant and outside dining area. This new development on Sirior Bach Caravan Park offers 10 spacious and luxurious plots with a 12 month season. This holiday park not only offers sited caravans for sale but also fantastic holiday lodges. It is the perfect rural retreat where you can enjoy the nearby facilities but be far enough away to not be disturbed by them. This is a family-friendly site with 2 playgrounds for the children, ideally situated in Towyn, with easy access for funfairs, amusements and arcades. Your Edwards Caravan Park package also includes free membership of nearby Browns Club, offering live entertainment, large screen TVs for sports viewing and bingo. A small family-orientated park in central Towyn, close to local amenities this is one of 3 family owned parks all within 500 metres of each other. With fantastic access to local beaches and country walks, this Holiday Park offers family entertainment at Brown’s clubhouse, amusement arcade and children’s playground. Ease of access to all local Towyn amenities, beaches and right next door to Knights fun fair, guaranteed to keep the children occupied for hours. If you purchase a sited caravan for sale on Happy Days Caravan Park, free membership for nearby Browns Club is included. A lively park with many on-site facilities such as Jakes Lounge, offering four different venues under one roof, a family show lounge with cabarets, discos and bands, a sports bar with large screen TVs, a restaurant serving fresh local food and the Coffee Lounge with comfy sofas and chairs. New and used caravans are for sale on Whitehouse Leisure Park as well as pitches to site one you may have purchased through North Wales Caravans. More on the Whitehouse leisure park website. A quiet site, set in fabulous 19 acres of grounds and gardens, for those preferring a more peaceful holiday, yet still within very easy access to all local attractions and towns. If you want to view sited caravans for sale on Sirior Bach Caravan Park be aware they sell very quickly. Visit the Sirior Bach Caravan Park website for more info. If you have been to North Wales recently, or are visiting soon, and are looking at buying a static caravan in a picturesque location, make sure you visit North Wales Caravans (visit the website at https://www.northwalescaravans.co.uk). With many years of experience in the static caravan industry, we can make you aware of the benefits and of course, the drawbacks. With an inventory of more than 100 caravans for sale, new and used, you are sure to find the ideal holiday home. Contact us today to find out what we can do for you.